I am just back from two weeks vacation. 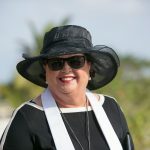 One week visiting family in Trinidad, and one week visiting my daughter and son-in-law in New Jersey which involved a trip to Atlantic City. 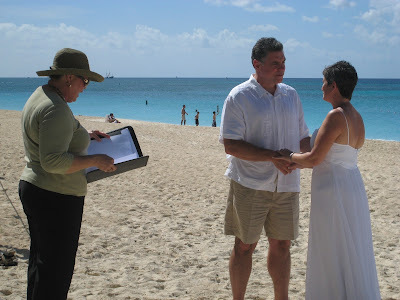 The day before I left I did this simple wedding vow renewal ceremony for a couple married 15 years. 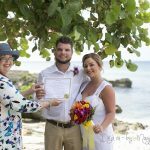 This was really simple, it involved picking up the couple and their daughter and a few friends, from the harbour since they were on a cruise, taking them down to the Governor's Beach and performing the ceremony. 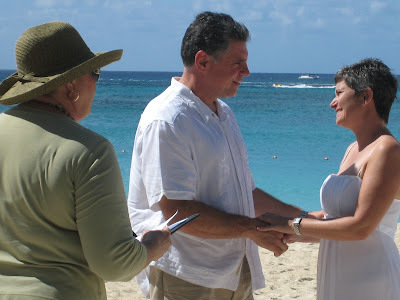 The starfish came in handy, as this lady got new rings, which were a surprise. The couple's 12 year old daughter, in a matching outfit with her mom did the reading for the ceremony as requested and provided by her dad in advance. 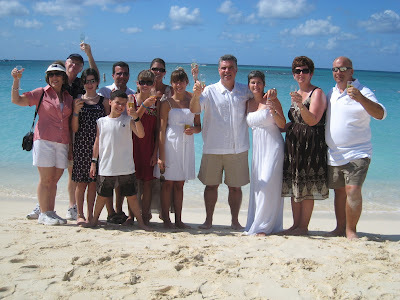 This group of friends were traveling on the cruise and joined the happy couple for their ceremony and champagne toast. They then all took a mini-bus to continue the sightseeing and fun before rejoining the cruise for their next stop. 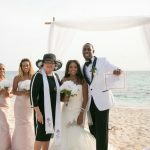 This Simple Renewal Package costs $400 and includes, marriage officer, personalised ceremony and Simply Weddings Renewal Certificate, and champagne and sparkling grape juice for the kids served on the beach. 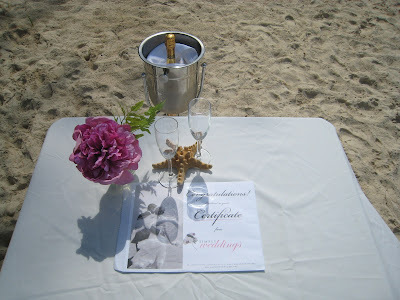 Add flowers, and photography for an even more special package. 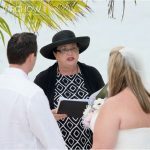 Ceremony by Joy of Weddings, arrangements by Simply Weddings, photography by Peggy Moorhead. Call me at (345) 5256551 to make this anniversary special and surprise your Significant Other. 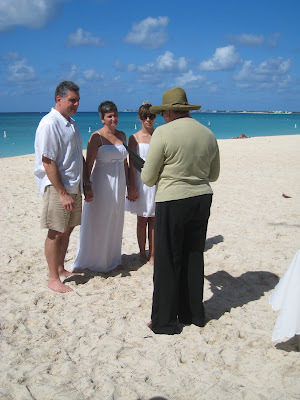 Short notice not a problem if I have a slot available, remember I do only one cruise wedding or renewal per day.